The Snapdragon 821, based on Cortex A72 design from ARM, is supposed to be the best in the business, but it’s reign is likely to be cut short — very short — by the release of Huawei Mate 9. The Mate 9 comes equipped with a radically difference core technology known as Cortex A73. Though the name is very similar, in reality, the new core is far from an incremental evolution of the older one. 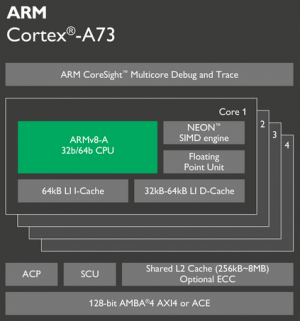 Instead, the new A73 cores were developed by a totally different team of ARM engineers, who started their work almost four years ago. While the A72 was designed in the US and belongs to the same family as the widely used A53, the A73 was created by a team in France, taking off from the older Cortex A17 design. The Cortex A17, for those who remember, was a beast back in the days, but also consumed a lot of power. At the time of its unveiling, the A73 was supposed to give a 15% jump in performance compared to the A72, but the latest benchmarks from XDA Developers suggests that it could be considerably higher, thanks to higher clockspeeds. Despite being built on the 16 nm technology compared to the more efficient 14 nm technology on Snapdragon 821, the Kirin 960 processor inside the Mate 9 delivered 28% more processing power compared to the Snapdragon 821 inside Google Pixel phone. When using all cores, the difference was nearly 50%. 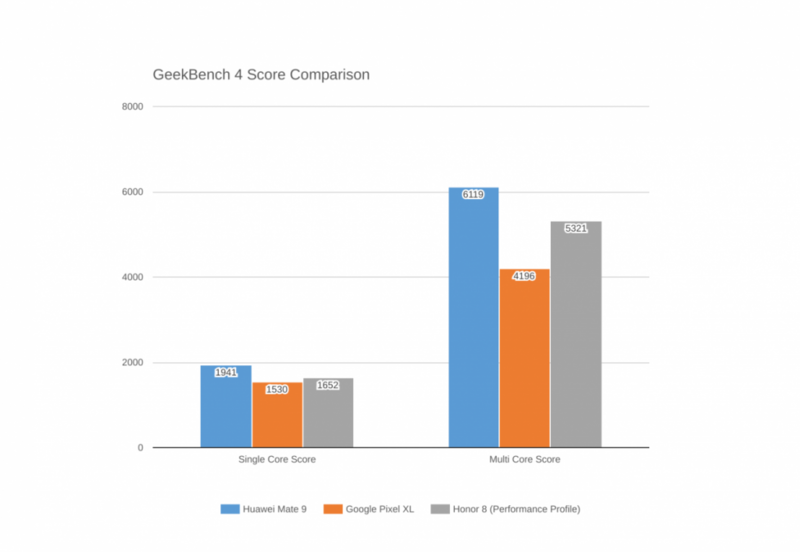 The benchmarking was done via Geekbench 4 testing tools. Out of the 28% difference, about 10% was due to the fact that the new chip runs at 2.36 GHz, while the Snapdragon 821 runs slower at 2.15, while the remaining was because of the architecture. In fact, what is interesting is that the A73 design seems to allow for higher clockspeeds despite two key factors working against it — the Kirin 960 is an octa-core design and the thermal envelopes and maximum speeds are kept lower in octa-core designs. Secondly, Kirin 960 is built on the less efficient 16 nm process compared to 14 nm on Snapdragon, which too limits the speed at which it can run. In fact, when ARM announced A73, they had guided that most of the designs would be based on the upcoming 10 nm design. With the ARM designs making rapid strides in power, it remains to be seen how Intel, which uses the traditional IA 64 design, is able to cope. The Kirin 650 chipset, for example, has more power than most of the laptop-oriented Core i chipsets sold today by Intel. Intel has already beat a strategic withdrawal from the mobile and tablet market, and now it looks like the ARM chip makers are ready to attack the chipzilla in its home territory. Read the XDA Developers’ article here.